The Company section will help you identify each new account. 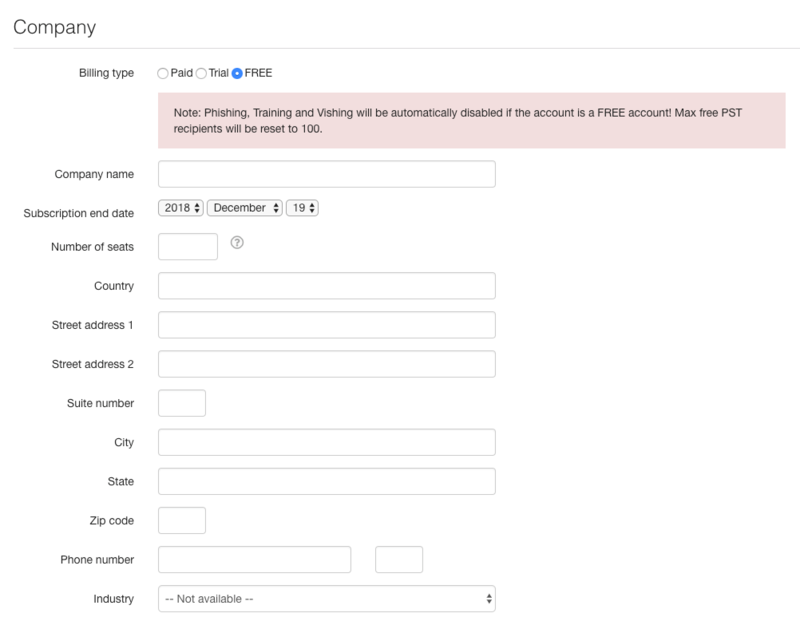 Enter information such as the number of seats the organization will use, whether they are a trial account or fully paid, and when their subscription should end. The Account Admin you set here will be the initial administrator on the account and the email you use must be an email address at your account's domain. 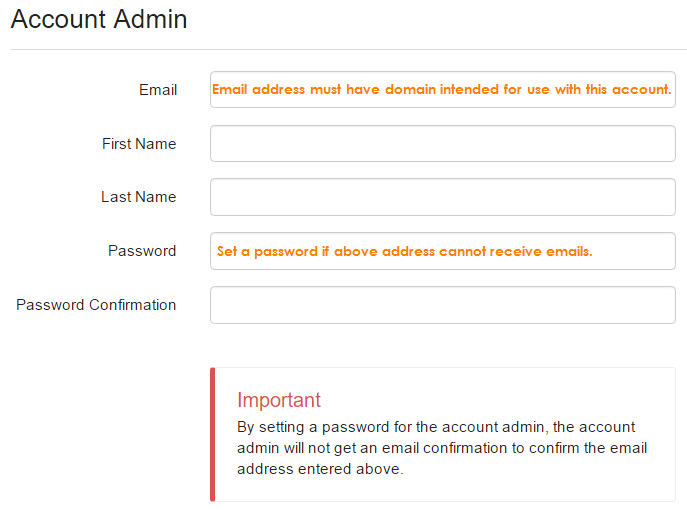 If you do not have access to an email account at the account's domain, you can enter a "dummy" email address (e.g. KB4@CompanyA.com). The address does not have to be a functioning email account. If the email address you enter for the Account Admin is not a functioning email account, please be sure to set a password here, since you won't be able to confirm the account via email. 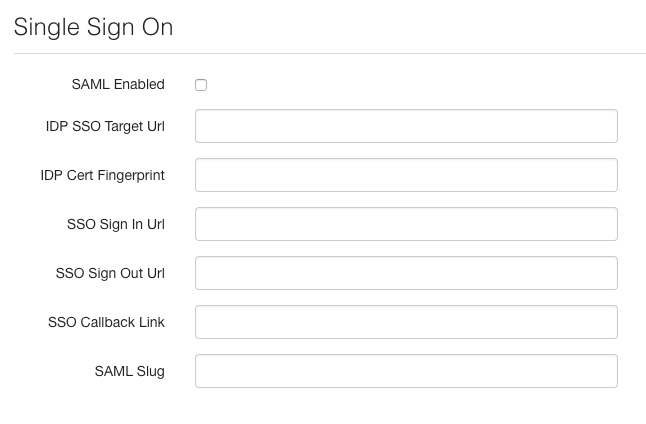 Our console is compatible with single sign-on. 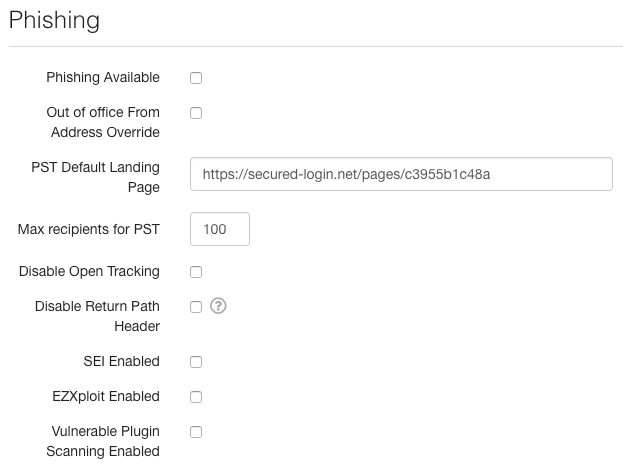 If one of your managed accounts would like to use SSO to allow their users to log in and take training, click the checkbox near SAML Enabled. Additional details will need to be entered by you or your account to use SSO. Enable Smart Groups on your managed accounts. Enable Security Roles on your managed accounts. Enable access to KnowBe4's APIs. Enable Training to display the Training tab and set up training campaigns for users of this account. We recommend enrolling users in the latest version of the Kevin Mitnick Security Awareness Training for their initial training. More information on "Allow Users to Sign Up"
Enable Phishing to run phishing campaigns on users of this account. If you'd like to, you can also change the default landing page for your new account to any other of the built-in landing pages, or a custom page of your choice. You can learn about the other selections in this area by checking out the related links below. Vishing is similar to email phishing tests, but the user will be tested via a phone call instead. You can choose to allow USB Drive Testing for an account by enabling this option. You can choose to enable Active Directory Integration for an account by clicking on this option. You can choose to allow AIDA Campaigns . for an account by enabling this option. If you'd like to enable the Phish Alert Button for a new account, you can do so here. 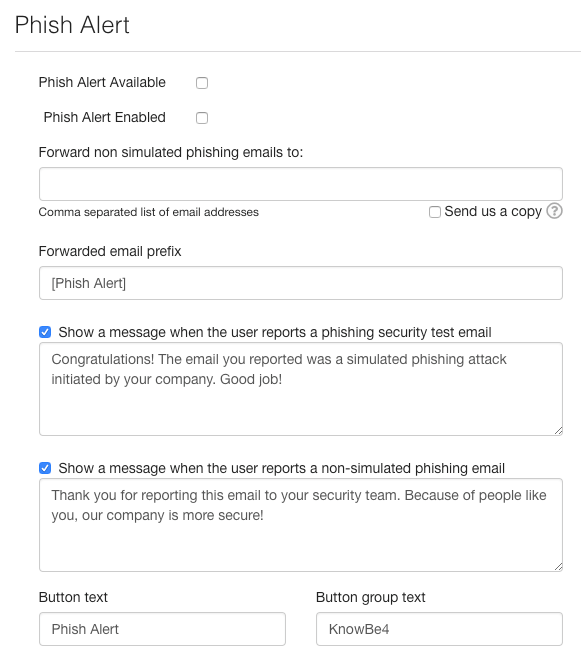 More details on the Phish Alert Button and how to install it can be found by clicking here.